In the era of analytics, more businesses are taking advantage of ever-increasing amounts of data to become more competitive. An emerging challenge for analytics has been the size and complexity of the data. 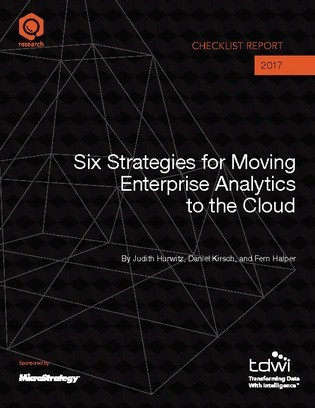 In this white paper, learn how your organization can build strategies for moving enterprise analytics to the cloud with benefits to consider, issues to think about, and how the cloud can impact future plans.